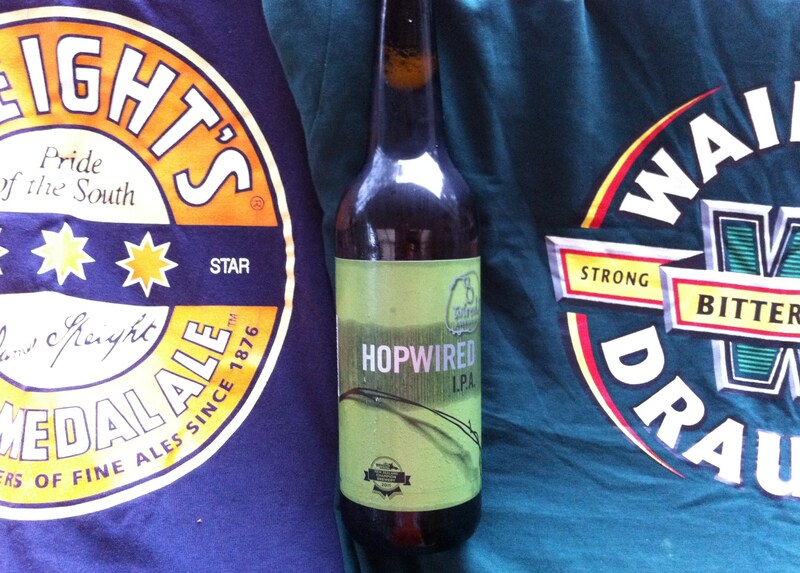 Hoppy Waitangi Day and Hopwired I.P.A. Our newest correspondent very kindly brought this correspondent a couple of 500ml samples of some of New Zeland’s finest drops. That’s a tough choice because New Zealand has really embraced the craft beer revolution and there’s plenty of good choices that can be made. They’ve been sitting in the work fridge since, and I’ve just been looking for a suitable occasion to give them ago. There’s no more suitable occasion on the New Zealand calendar than Waitangi Day. Waitangi Day marks the signing of the Treaty of Waitangi on 6th February 1840. THe history of celebration of Waitangi Day has been one of constant change. It’s had name changes and various protests over the year. It’s a public holiday so most probably do what we do in Oz, but there’s also a bunch that get pretty worked up about perceived injustices. I first visited New Zealand in the mid ’90s. I have a brother-in-law from just outside Hamilton and as a result sank enormous amounts of Waikato Draught. I bought a stubbie of Speights in a North Island pub and was looked at askance – particularly when I asked for it with my broad Australian accent. It was all quite local then. I’ve still got my souvenir shirts. Fortunately, the number of craft brewers now far outweighs the number of macrobreweries. It would be fair to say that if craft brewers could be ranked into divisions like New Zealand National Provincial Championship – then 8 Wired Brewing Co. – the brewers of Hopwired I.P.A. – would a perennial powerhouse of the first Division. 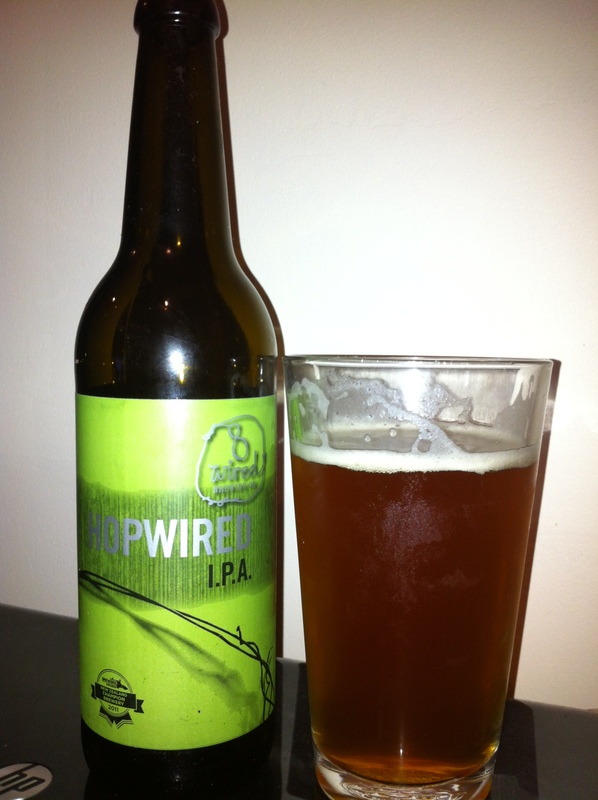 Despite only being around for less than 5 years, 8 Wired has amassed a number of awards – and HopWired is a real flagship. Their beer label hyperbole is justifiably immodest and there’s plenty of chat about the hops. This is as big a hoppy beer as I’ve ever had. I found as much spice as fruit as the label promised, and look forward to burping hops until the next Waitangi Day. A really outstanding beer.